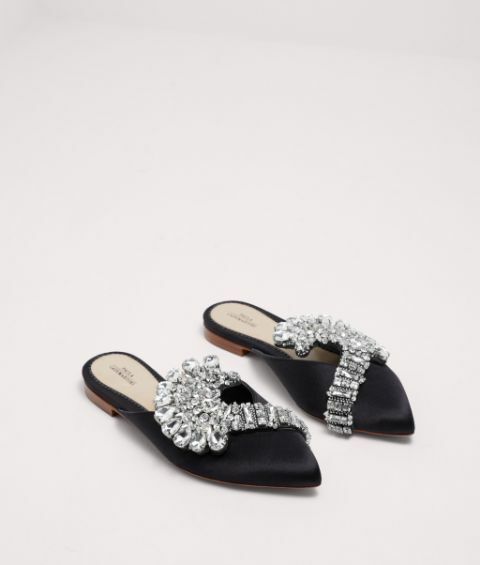 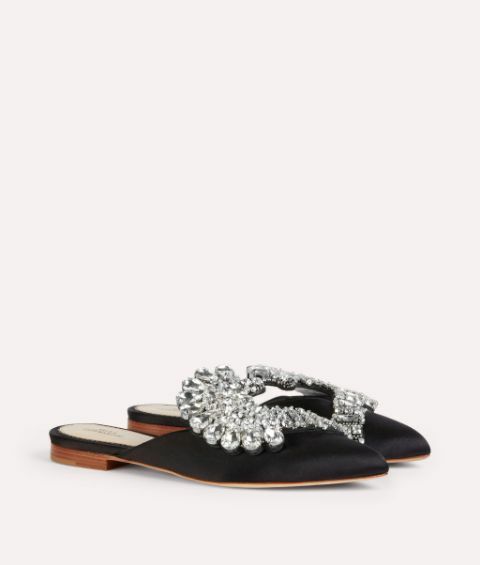 The laidback slipper style is given an injection of evening glamour with this reinterpretation of the iconic Flower mule. 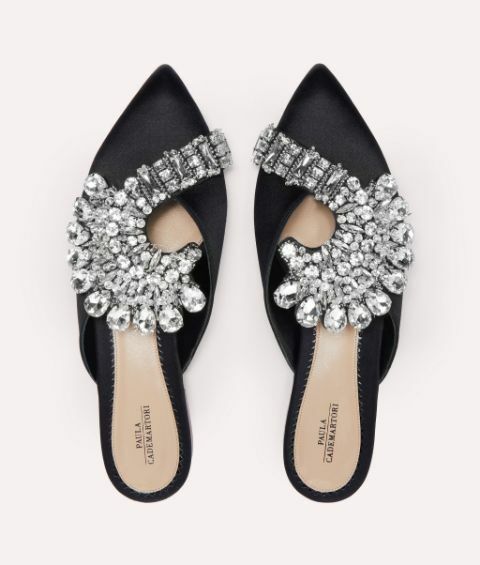 Sparkling crystal appliqués wrap around the pointed toe and vamp, which has been carefully sculpted from leather and silk. 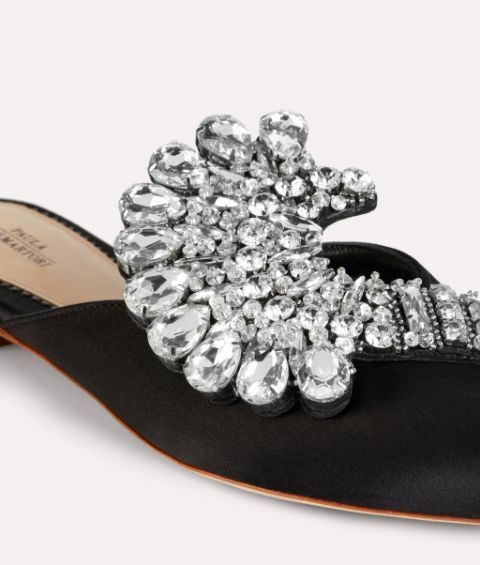 Imbued with the unmistakable elegance of the Paula Cademartori woman, this shoe showcases the expertise of our Italian craftsmanship.